It’s mind blowing how advanced technology has become and what a phone can do. One of my favorite things about my iPhone is that I can use it to make and save money! Being a mom, saving money is so important to me. If you have an iPhone or an Adroid, do yourself a favor and download these free apps to make and save big money! It’s so easy, requires little effort and the savings really add up. Receipt Hog Receipt Hog is one of my favorite apps because it’s so easy and it uses receipts you’re going to throw away anyway. All you have to do is take a picture of your receipt (from grocery stores, gas stations, coffee shops, retail stores, ect.) and you’ll get coins for each receipt. You will also get 1 spin on the slots for each receipt which could earn you more coins! 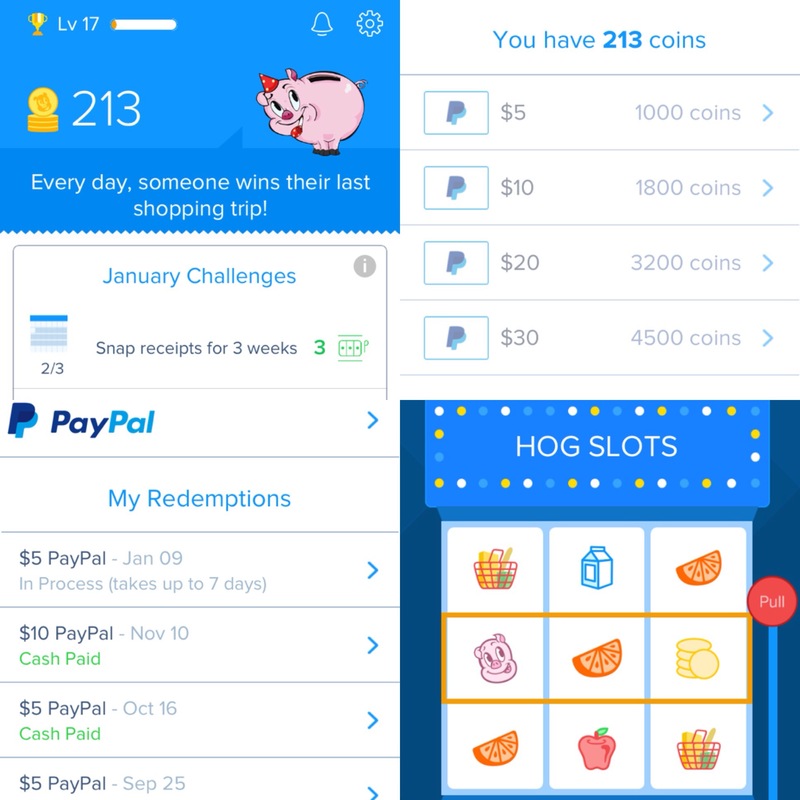 Once you get at least 1,000 coins, you can redeem them for $5 through PayPal or a $5 Amazon gift card. Redemption takes up to a week but it’s legit and it’s free money just for taking a picture of your receipt! 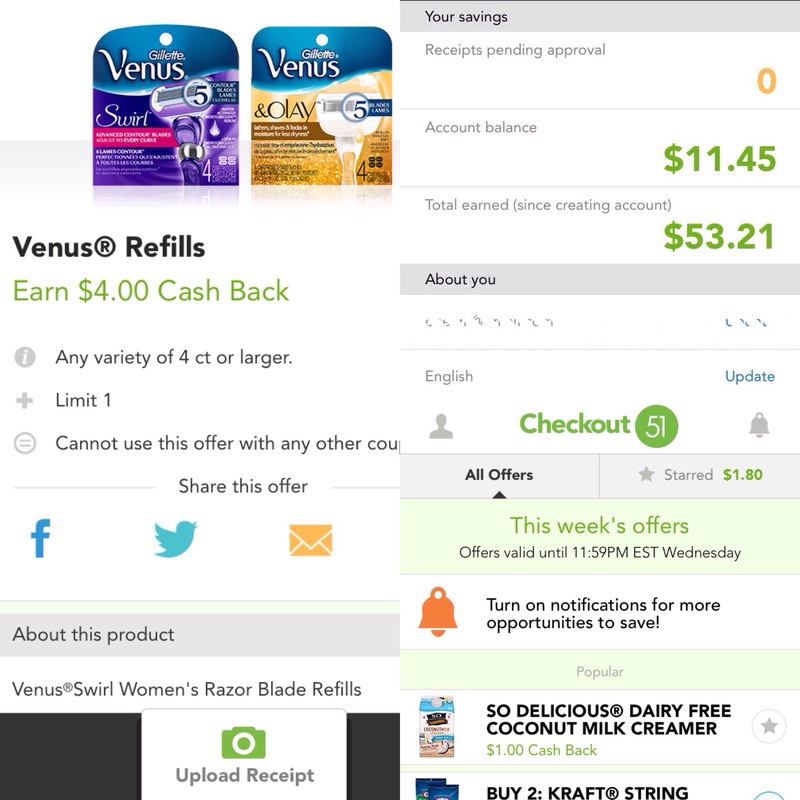 iBotta This is an awesome rebate app that gives you money back for purchasing certain items (brand names or they’re often ‘any brand’ products like bananas or a gallon of milk). There are rebates from so many stores, including retails and grocery stores, for baby items, grocery items, electronics, they’re always adding stores and rebates. To unlock a rebate, you’ll be asked a short poll question about that product or watch a short 30-45 second video. Once it’s unlocked and you purchase the item you verify the product is eligible for the rebate by scanning the bar code and either upload a picture of the receipt or you do nothing because certain stores verify purchases soley through their loyalty cards that you must link to your iBotta account. Be sure to unlock rebates before going shopping! Once your rebates add up to $20 you can ‘cash out’ through PayPal, Venmo or several store giftcards (must cash out $25 or more). If you’re already buying these items, it’s a no brainer to take the few minutes to unlock the rebates & earn money back! You can also you coupons in-store on top of these rebates to save even more! Download & sign up here! Checkout 51 This is another great rebate app that requires very little effort to get cash back. All you have to do is purchase the qualifying item, take a picture of the receipt and upload it. No need to verify by scanning the barcode either. My favorite part of Checkout 51 is the limit for each item is different. For example, there may be a $.50 rebate for hummus with a limit of 4. So you can earn a total of $2 if you buy 4 containers of hummus. It makes a great deal if they’re on sale plus using coupons if available. When you reach $20, you can cash out and a check will be sent. Again, free and easy cash back for items you already buy. SavingStar This is another rebate app that is similar to iBotta and Checkout 51 but you only have to have $5 in your account to cash out, which is by PayPal or you can opt for a Starbucks, iTunes or AMC Theatres gift card. SavingStar only has about 10 qualifying stores and you link your loyalty card to those who have them instead of uploading a receipt. Target, Walmart, Family Dollad and Walgreens are a few of the stores that SavingStar accepts receipts from. Along with food rebates, every month SavingStar offers rebates from Unilever, brands like Axe, Dove, Caress and Suave. To redeem a rebate, just hit the (+) under the picture to add it to your list. Do this before you shop if using a loyalty card and before you upload a receipt. There are a lot of rebate apps out there and I feel like I’ve tried them all. These 4 are the ones I use on a daily basis and are user friendly. 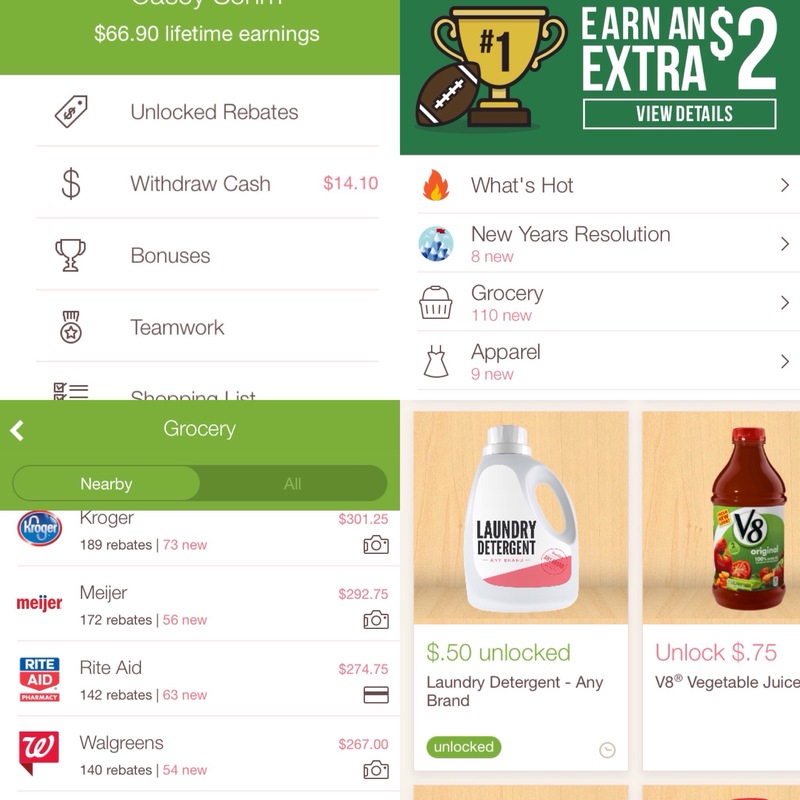 If you haven’t already, download one, two or all 4 of these amazing apps and start earning and saving money!